Please feel free to click on either the photo of the room or name of the room that you are interested in, to view more information such as seating and pricing. Our Large Ball Room can be used for a variety of events. Weddings, banquets, meetings, exercise classes and so much more! The Main Ball Room can be divided into two for multiple events. *A fully functioning bar is also available when renting the Main Ball Room. The Shepard Community Association has ProServe certified bartenders available for an additional fee, for any event. This room is attached to our Main Ball Room. It is the perfect space for your events buffet, kids craft room or additional seating. The room can be closed off by a removable wall. Our Lounge is the perfect space for your families next event. Private access is available, as well as full access to a bar and to the industrial kitchen. 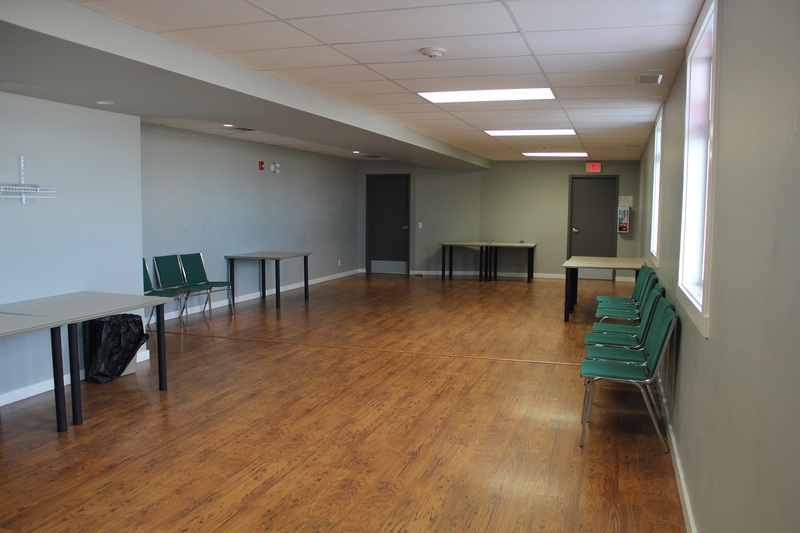 Shepard Community Hall has a fully functional industrial kitchen that can be used by any renting party for an additional fee. The variety to hold a craft class, meeting or event is available. Turn our space into your own. The second floor is accessible by an elevator for those with mobility issues. There is a Damage Deposit required for all events. This Damage Deposit will be returned to you approximately 2 weeks after your event if no major damage has occurred, and the equipment being used is left clean. Groups over a certain size require that you use our bartender(s) who also act as Security, and have a Hall Event Supervisor. Any Event requiring a bartender must use our Proserve certificated Bartenders. We have a small PA system for your use. (1 microphone & 1 loudspeaker)The hall can be used for a variety of needs from weddings and receptions to parties and meetings. When setting up events we do our best to meet our client’s needs in regards to early access. We can supply coffee, tea and juices for your group. We do not cater to meals but can give you names of companies that do. You can bring in your own caterer as long as he/she agrees to leave the kitchen clean and tidy. You can also provide your own meals/food as long as your group will take full responsibility for following “food safe rules”. We have a full commercial kitchen that can be used for your food preparation, ie. salads, sandwiches etc. We also have a large walk in fridge that can be used at no charge. If you need to cook or bake food at the hall there is a charge.